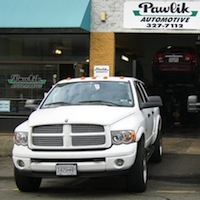 Pawlik’s Service team have the tools, equipment, training and experience to professionally service, tune, and repair your light duty diesel truck or car. From the biggest engine rebuild jobs and head gasket replacements, to proper service maintenance, Pawlik’s award winning service team love to work on diesels. From basic maintenance services to major engine repairs to fuel system diagnosis, call us with any inquiries that you may have.